The classic slip dress is cut for an elegantly loose silhouette. Perfect for styling of semi sheer garments like the maxi silk organza dress. 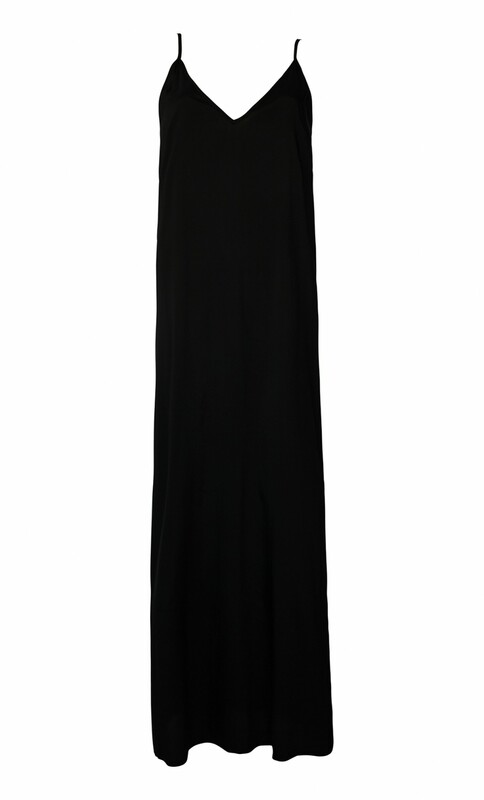 The maxi dress is cut from a fluid and slightly shinny viscose.